3- Lincoln described the US as the “last best hope on earth”. In disagreement with your position, and having served in the Navy, pretty much every officer I ever knew in our military does feel that we have been blessed with freedom and there is a moral need to do our best to stem killing fields when they occur and at least give balance against evil in the world, not only for American interests but for the interests of individual rights and liberty. Will Al Qaeda have a hand up? Maybe. Will Islamists maybe. Maybe. They’ve all had a head start and fueling by these very dictators who claim them to be their enemies. These radicals came out of this tyrannical environment and we cannot defeat them militarily. Assad’s machine only understands force and we Syrians long knew that since the late 50’s. But Islamism’s defeat needs moral transparency and it starts with our approach to tyranny. That was how I approached the defense of our occupation in Iraq. If we defeat Islamists globally , it will be only in the marketplace of ideas; which your approach hands over to Islamist nations who engage while you suggest disengagement. They hypocritically are helping the opposition but clearly are doing so for the advancement of Islamism. Our work at AIFD and elsewhere cannot work in an autocratic, corrupt environment. So if you want liberal Muslims to succeed we need to stand with them and take sides. Generational change will need the building blocks of democracy and will be a mess. Fouad Ajami in the WSJ and elsewhere has been articulating this pretty well also. 4- We need a consistent moral transparent approach to our positions on regime change or else American soft power will not only wane further but we will be perceived as ineffective hypocritical moral arbiters and only selfish Americans. “Letting them kill each other” (to paraphrase what you’ve written) is what my family struggled with when Hama, Palmiyra and other massacres happened as the West sat silent. In today’s age, the excuses of 1982 no longer exist for America. Now we ignore it with eyes wide open. 5- Lastly, the most important argument to me is the “moral obligation” argument. I do believe we are all accountable for how use the gifts God has given us to repair the world no different than “Tikun Alum” in the Jewish tradition. For the US to sit back and squander our gifts while this inhumanely imbalanced war rages on now for almost one year I find to be inconsistent with the my own understanding of our nation’s and my own moral obligations. 6- I am also finding it hard to get my head around how your position puts you in agreement with some of the regime apologists of the world like Ed Husain who are advocating for an “Assad-lite” because otherwise Syria will be run by sectarian violence, Al Qaeda, or chaos and thus the West pragmatically needs to side with evil; just the lesser of two evils. I know that is far from your position, and I know you have written extensively especially on Hafez Assad and you understand the evil that is the Assad regime, but this position puts you in line with the regime apologists is not consistent with what we did in Iraq, the Bush Freedom Agenda, and some of the core philosophies of neo-conservatism. 6- As you correctly note, I despise the Assad dynasty and its works. Yes, some unsavory types share my views on intervention. But others share your views: to take just one recent example, Hamas recently came out against the Assad regime. If you don’t tar me with Ed Husain, I won’t tar you with Hamas. 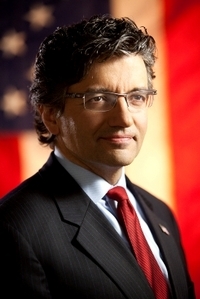 https://aifdemocracy.org/wp-content/uploads/logo-2-300x124.png 0 0 M. Zuhdi Jasser https://aifdemocracy.org/wp-content/uploads/logo-2-300x124.png M. Zuhdi Jasser2012-02-26 00:00:002012-06-20 13:03:29"The only way to Defeat Islamism in the Region - a Muscular Liberty Doctrine backed with action not just words"